Opera Lucca is a summer festival for singers and pianists. It will be held at the Lucca Italian School in the summer of 2019, June 9th through July 6th. We specialize in teaching Italian opera and art song through the language. 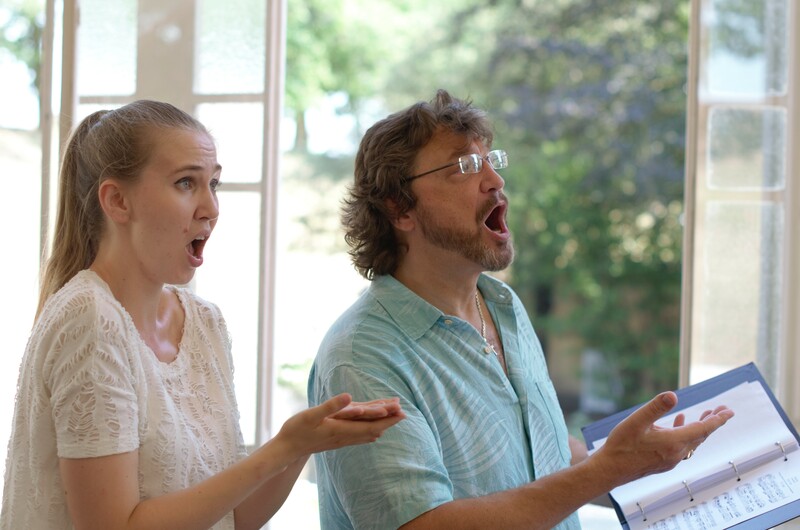 Our distinguished faculty are either native Italian speakers or experts in operatic Italian. Some students will have the opportunity to stay in host families to improve their conversational Italian. Tuition ranges from $3600 to $4200, depending on housing options. See tuition page for details. We are now accepting applications from vocalists and pianists. Contact us at info@operalucca.org and follow us on facebook if you are interested in participating! Each morning students have four hours of Italian classes at the Lucca Italian School, taught by native Italian speakers from Lucca. In the afternoons, there are lessons, coachings, and occasional masterclasses. Students will have lessons on vocal technique, diction, acting, and staging. It is also possible request additional Italian lessons, including private lessons with language-school teachers. Most Saturdays and Sundays are free to travel around central Italy or relax in town. Lucca is close to many important cultural and tourist destinations: 1.5 hours from Florence, 30 minutes from Pisa, 3 hours from Rome, 2 hours from Cinque Terre, and 30 minutes from the beach at Viareggio. 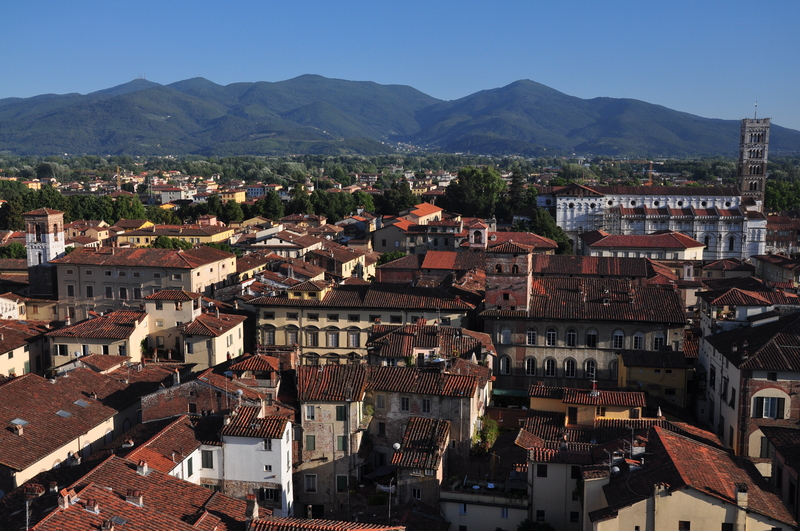 Lucca is a beautiful walled city in northern Tuscany and is the birthplace of Giacomo Puccini. At one time, Lucca was a powerful city-state and trading center, and visitors are now charmed by its distinctly old-world atmosphere. It is nicknamed “la città delle cento chiese” because of the nearly 100 old churches throughout the city. Some of these churches are spectacular and unusual, with elaborate striped-marble façades and tall towers. Its surrounding wall was originally designed to protect Lucca from invaders, but it is now a tree-lined park with a paved bicycle path. The Lucchesi and tourists frequently use the walls for morning runs, afternoon walks, and leisurely rides on their bici. It is also an easy way to travel from one side of the city to another. Because of the wall, the buildings in the original centro of town have not changed much over the centuries. But inside these buildings one finds a wealth of boutique stores, affordable restaurants, local food markets, wine bars, and artisanal gelato shops.